Ginger is one of the healthiest and most beneficial super foods (or super spices) on the planet. Not only is incredibly potent for its well known anti-nausea properties, but is also packed full of nutrients that are necessary for optimal body and brain health. Ginger is the root of the ginger plant, and has a whitish-yellow, hard appearance. It is very aromatic and has a spicy, sweet flavor that is widely used in Asian cooking. It can typically be purchased at your local grocery store all year round, and keeps for a long time in the refrigerator. This spicy and delicious superfood can be used in stir fry dishes, soups, curries, teas, smoothies and much more. Read on for some amazing nutrient benefits, and learn more about how to incorporate it into your regular diet. Ginger’s main medicinal component, gingerol, is known to have potent anti-inflammatory properties, largely due to its high antioxidant content (1). We’ll get into more specifics, but gingerol is the compound mainly responsible for the properties of ginger such as digestive support and nausea fighting effects. Interestingly, gingerol is also what gives ginger its spicy, flavorful aroma and taste. Perhaps one of ginger’s best known properties, it is a highly effective anti-nausea medication. Whether you suffer from pregnancy related morning sickness, motion sickness, or any other form of nausea, ginger makes an excellent and safe remedy. In fact, one study shows that ginger is just as effective as certain prescription medications for treating nausea (2). However, out of all types of nausea, studies show that ginger is the best for morning sickness with pregnancy (although not necessary for stopping vomiting). Ginger is impressively effective in fighting and calming inflammation, especially in cases of osteoarthritis, which is deterioration of the joints and related pain. One study found that out of 250 osteoarthritis sufferers, those who took ginger extract experienced far less pain and stiffness (3). Aside from arthritis, ginger is also great for preventing and calming general inflammation related to common diet and lifestyle factors. Ginger specifically treats indigestion, which is pain or general upset in the upper part of the stomach, generally with eating. The main culprit in indigestion is a slow emptying of the stomach, and ginger has been shown to speed up the digestive progress, therefore improving symptoms of indigestion In fact, one study found that ginger was able to speed up digestion by 50%(4). For women who experience menstrual cramping and pain, ginger is one of the best natural remedies. Keep in mind that severe menstrual pain is often related to diet and inflammation, so take a look at that, too. One study found that 1 gram of ginger per day for the first 3 days of menstruation was able to reduce period related pain just as much as ibuprofen, without the risks or side effects (5). Making a ginger tea is one of the best ways to reap its many benefits. In small pot of water, place ginger chunks (skin and all is fine, ideally from an organic source) in the water, and bring to a boil. Reduce heat and allow your ginger to simmer for about 20 minutes, then strain into a mug. Feel free to also add a bit of fresh squeezed lemon juice, raw honey and cayenne pepper for a detoxifying and anti-inflammatory tea. This quick and easy option is great for a hot day, and a much healthier version of traditional lemonade. Instead of white sugar opt for honey, maple syrup or coconut sugar. Mix grated ginger, fresh lemon juice, water and your sweetener of choice together, and enjoy! Add ice if you’d like. Commonly used in Asian dishes and stir fries, ginger makes an excellent addition to a veggie and meat dish. Be sure to peel and mince your ginger, adding it with a bit of olive or coconut oil, along with other veggies of your choice. Include garlic, a healthy protein, and a dash of salt and pepper, and enjoy. Bored of your usual oil and vinegar salad dressing, or do you fall back on unhealthy options like ranch? Ginger can immediately spice up a healthy salad dressing, and give a whole new flavor profile to your favorite salad. Simply mix or whisk together minced ginger, tamari soy sauce or coconut aminos with minced garlic, olive oil and a splash of fresh lemon juice. Add a pinch of salt and pepper, if needed. Instead of buying commercially prepared ginger ale that is largely stripped of its medicinal value, and contains a slew of added sugars and chemicals, make your own right at home. 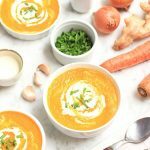 If you can get your hands on a fermented ginger culture (check online), this makes it even healthier by providing further probiotic benefits, but it is not absolutely necessary. All you will need is a 2 inch piece of sliced ginger root, 1/2 cup of coconut or organic sugar, 1/2-3/4 cup fresh squeezed lemon juice, a pinch of sea salt and 8(ish) cups of water. Check out this recipe here for further instruction. Gastrointestinal issues: Some digestive issues that may occur in certain individuals from consuming ginger, includes heartburn, diarrhea, and overall stomach discomfort. This is rare, but if symptoms are present, discontinue use or reduce the quantity and see if your symptoms improve. Menstruation: Some women consuming ginger have the potential to experience heavy menstrual bleeding from taking ginger. Again unlikely, but remain within low doses if you experience extremely heavy bleeding with menstruation. Skin Irritation: If ginger is applied topically to the skin, it could cause irritation in some individuals. If you have very sensitive skin, use caution if using ginger based skin products. Bleeding Disorders: Since ginger can act as a blood thinner, it is best to avoid ginger if you have a blood disorder. Be sure to check with your doctor for potential risks and recommendations. Pregnancy & Breastfeeding: Ginger in tea or food form can be one of the best at home remedies for morning sickness and nausea. However, there is still controversy over whether ginger in larger, supplemental doses could increase the risk of miscarriage, so it is best to consume in small quantities during pregnancy and breastfeeding. Again, when used as a tea or in a dish, no risks are known. A: Ginger comes from the root of the ginger plant, and has a whitish-brown, hard skin. It is very aromatic and has a spicy, sweet flavor that is widely used in Asian cooking. Q: What is ginger good for? A: Ginger works very well for cooling inflammation, improving nausea (especially related to pregnancy), treating indigestion, lowering blood sugar levels (6), relieving osteoarthritis pain, and in general is impressively high in medicinal properties, largely due to its primary compound, gingerol. Q: Does ginger help with nausea? A: Yes, ginger can significantly reduce nausea, especially pregnancy related nausea due to morning sickness. Try it in tea form. Q: How can you eat fresh ginger? A: Ginger is a surprisingly versatile food, as it can be used in multiple foods and beverages. Try using peeled and minced ginger in a veggie or meat dish, make ginger tea with fresh lemon juice and honey, try preparing your own homemade ginger ale, and more. Q: How much ginger should I be taking? A: An average, healthy adult should be able to safely consume up to 5 grams of ginger per day. To be on the safe side, pregnant women should limit their consumption to no more than 1 gram per day. Q: Can children consume ginger? A: Yes, and the amount of ginger your child should consume daily will vary depending on their weight. Generally, children between the ages of 2 and 6 should not consume more than 2 milligrams of ginger root each day. (12) Always consult with your child’s pediatrician on proper dosages for your child. Q: Can infants consume ginger? A: No, ginger is contraindicated for children under the age of 2. 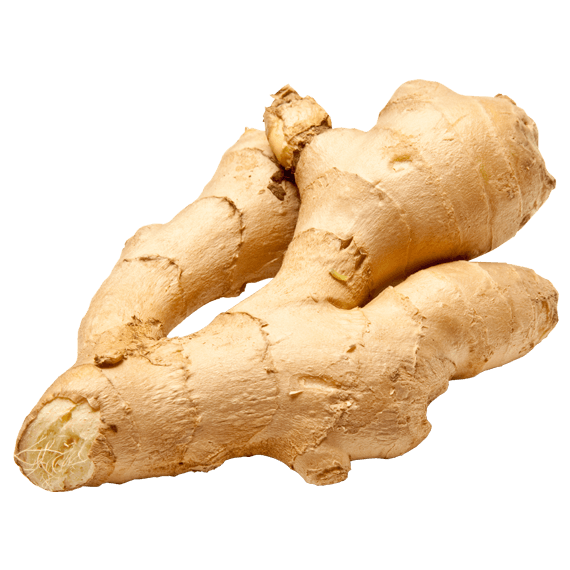 Q: I take blood pressure medications, can I still take ginger? A: It is not recommended to combine the two, since ginger can naturally reduce your blood pressure, which could be problematic for some people. Q: I am on blood thinners, can I consume ginger? A: Similarly to blood pressure, ginger also has a natural blood thinning effect, so it is advised to avoid it if you are taking blood thinners. Or, consult your doctor, as small amounts might be considered safe for you. Q: I’m pregnant, can I take ginger? A: Ginger is considered safe and even helpful for morning sickness in low doses for pregnant women. Any higher dosage in supplemental form should be discussed with a knowledgeable medical practitioner.